Late-October through November necessitated a renewed academic and spiritual focus following several weeks away from campus. The class got right to work in late-October with their second literary traditions essay, a site visit to San Clemente and a theology exam. Moreover, before the Men’s silent retreat there was also an art and architecture exam and a papal audience visit in St. Peter’s Square. The retreat house is not far from campus, on the opposite side of volcanic Lake Albano. The retreat offers a powerful spiritual moment for many students, full of silence, prayer, and rest. Those who chose not to attend the retreats used the time to travel, explore Rome, study, and sleep. Following the Men’s retreat weekend, students started spring class registration and sat for a west civ exam before an early morning departure for Assisi, Florence, and Venice. With less structure than the Greece trip, students had the option to choose a walking tour guide and site visit in each city, led by various professors and staff members. 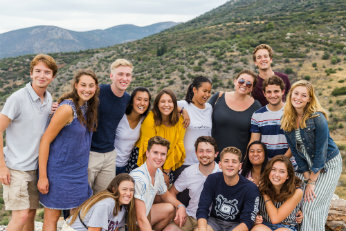 With lots of free time, students hiked the hermitage of Saint Francis in Assisi, visited the leather market and climbed the dome in Florence, and took in the piazzas and gondolas of Venice. 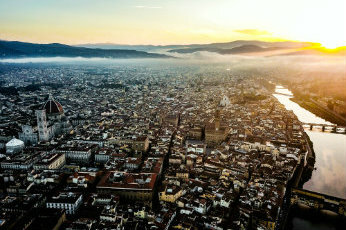 Academic site visits featured the Basilica of Saint Francis in Assisi, the Uffizi Gallery and Michelangelo’s David at the Accademia in Florence, and Piazza San Marco in Venice. Finally, the class made a brief stop in Ravenna before returning to the Due Santi campus on November 12. Return from the final class trip brought about the sad realization that the class had less than one month together before their return to the US. 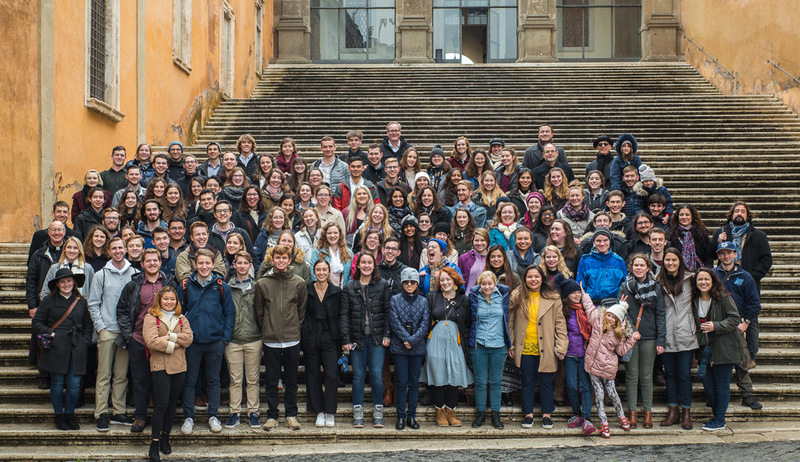 The remaining weeks of November held the Women’s retreat, a visit to the world-renowned Vatican Museums, Scavi Tours, and time to travel over Thanksgiving break. The class also took these final weeks together to bond on campus. Notable gatherings included the crowning of Ping-Pong and Foosball tournament champions, Shakespeare recitations, and movie nights. With less than two weeks left in the semester, students are packing for their final long weekend trips and studying for final exams.